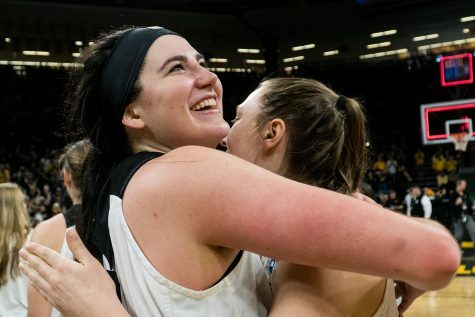 Iowa rode a stellar fourth quarter on its way to its second Sweet 16 appearance in five years. 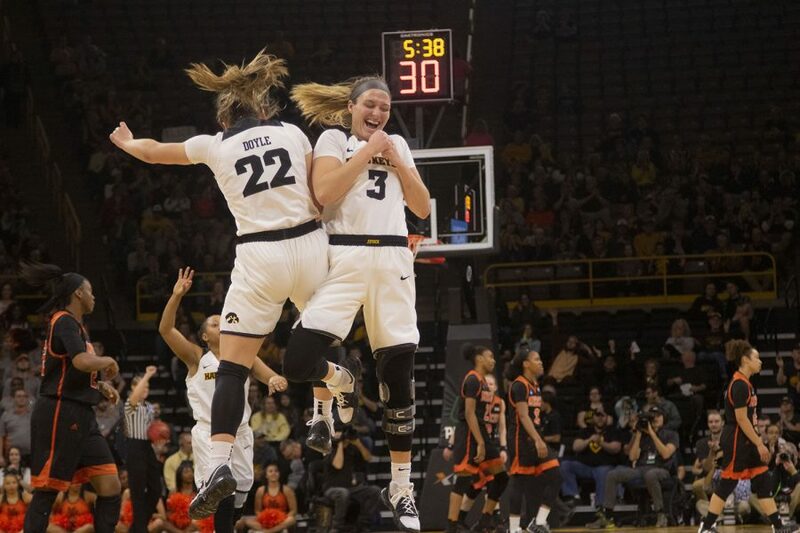 Iowa guard Makenzie Meyer (3) and Iowa guard Kathleen Doyle (22) celebrate during the Iowa/Mercer NCAA Tournament first round women's basketball game in Carver-Hawkeye Arena on Friday, March 22, 2019. The Hawkeyes defeated the Bears, 66-61. 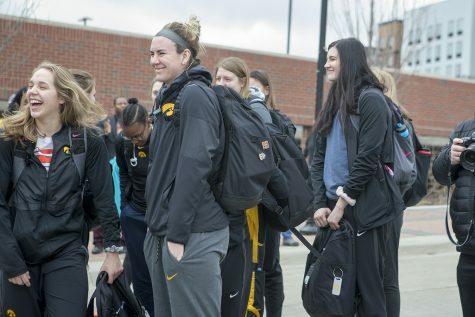 It was a slow start for the Iowa women’s basketball team against Missouri. 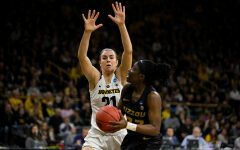 Missouri took a quick 12-6 lead right out of gate, but the Hawkeyes kept the pressure on and pulled out a 68-52 victory over the Tigers. 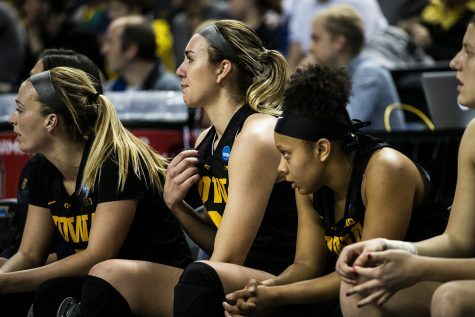 With the win, Iowa advances to the Sweet 16 for the first time since the 2014-15 season, where they will play the winner of tomorrow’s game between NC State and Kentucky. 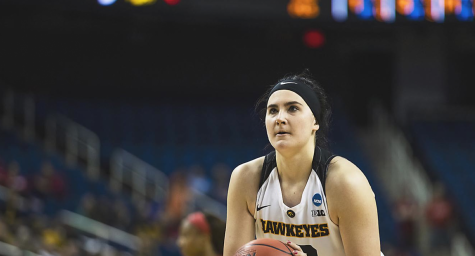 The Carver-Hawkeye crowd certainly played an important sixth man role for Iowa, but the X-factor was Makenzie Meyer. 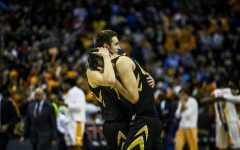 Missouri entered the game holding teams to 29.3 percent shooting from beyond the arc. Meyer was the major reason Iowa was able to buck that trend. She shot 4-of-7 from deep on her way to 18 points while contributing 4 assists and 3 rebounds as well. 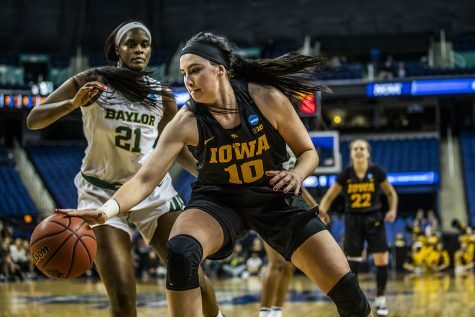 Much of her impact was in the first half of the game, but her resolute performance from deep in the first half opened things up inside for Iowa. Of course, Gustafson didn’t hide behind anyone. She had a game Hawkeye fans have come to expect, a double-double with 24 points and an astounding 19 rebounds. 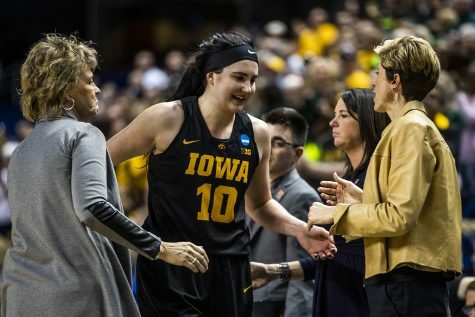 She was dominant in the fourth quarter for the Hawkeyes, knocking down 6 of her points despite taking a beating from the Tiger defense. 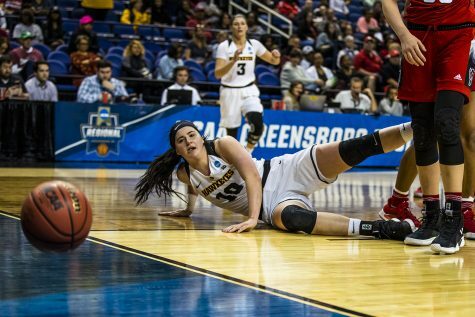 Another big reason for the Hawkeye win was the foul trouble Missouri’s Sophie Cunningham found herself in throughout the game. 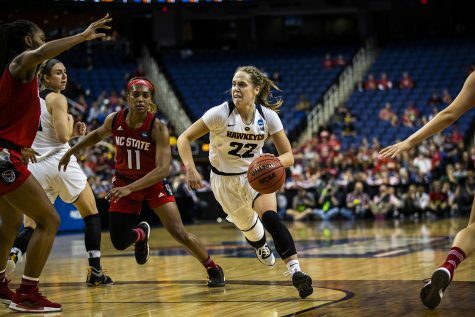 She racked up three early in the second quarter and was out during a 13-4 run Iowa had to end the half. That gave Iowa a 33-29 lead at the break. 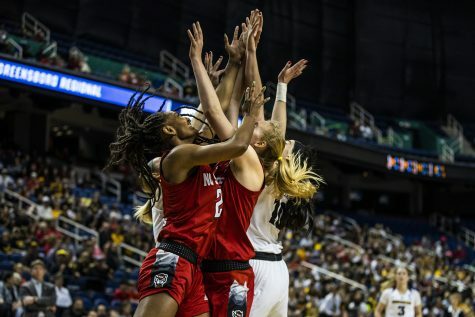 Both teams came out strong in the third quarter, trading baskets practically the entire half, and the Hawkeyes were able to take a 47-41 lead into the fourth quarter. Tania Davis hit her first shot of the game after 5 empty attempts to start the fourth quarter and it was all Iowa after. After the Davis trey, Iowa opened the fourth quarter on a 15-2 run, not allowing a Missouri point until the 4:51 mark. 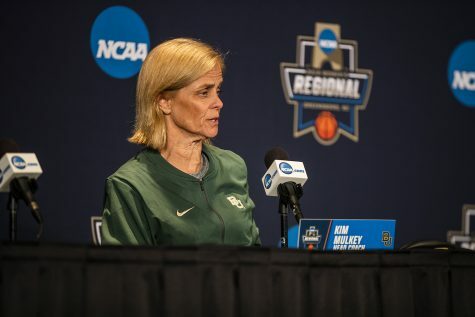 Its run led to it to clinching a spot in the in next weekend’s Sweet 16 in Greensboro, North Carolina. Davis finished with 7 points to go along with 6 assists. 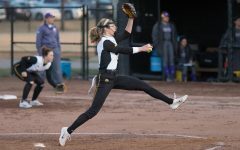 Iowa’s two other starters, Hannah Stewart and Kathleen Doyle, also put up solid games. Both of them had a sizeable impact on defense, and Doyle had 15 points with 3 assists and 3 steals. Stewart had her usual stuffed stat sheet with 4 points, 2 rebounds, 2 assists, 3 blocks, and 3 steals. 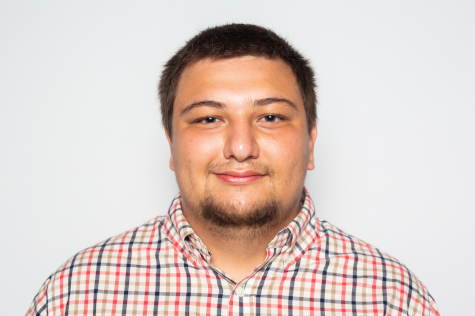 The NC State-Kentucky game will be played tomorrow at 6 p.m.